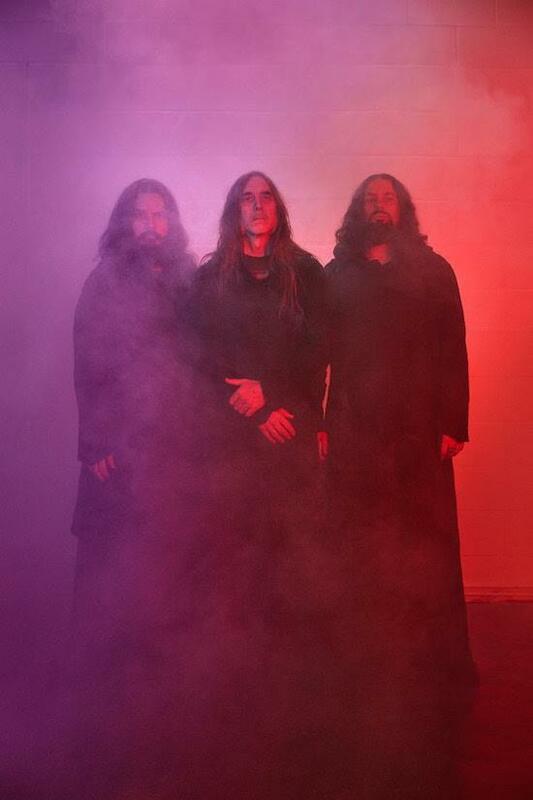 Sunn O))) have announced their first set of UK tour dates for 2019 in support of their new Steve Albini-assisted album Life Metal. Kicking off on October 24, the band will head to Bristol's SWX followed by stops at QMU in Glasgow (October 25), Birmingham's The Crossing (October 26), Manchester's Albert Hall (October 27) and the Roundhouse in London (October 28). More dates are yet to be confirmed, while another new, more meditative LP - titled Pyroclasts - is expected to follow from Sunn O))) in the autumn of this year. The tour announcement comes ahead of Sunn O)))'s first album in four years being made available at select UK, EU and US retailers on Saturday (April 13) exclusively for Record Store Day. The CD and LP versions of the album will then be available to purchase from Sunn O))) and Southern Lord's online stores from April 19 before a full release, including the digital package, follows elsewhere on April 26. Sunn O))) previously previewed Life Metal with a short video teaser announcing the album in February. Check tQ tomorrow for a first review of the new album.